Just Right! DVD Volume 1 - That's My Dog! 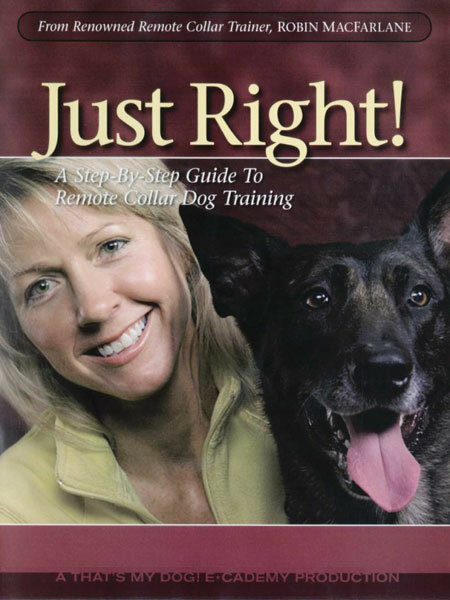 A Step-By-Step Guide to Remote Collar Dog Training. With clear explanations and simple techniques this DVD shows you how to introduce your dog to an electronic collar and properly teach the foundation skills needed for a happy, well-adjusted companion dog.